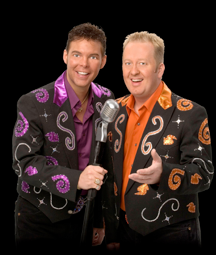 Looking for some late night Branson entertainment? Don’t miss our Friday night 10:30 PM show! 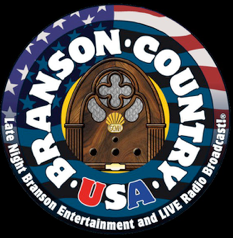 The show is also broadcast on radio and television stations around the country, and includes local stations: KRZK -106.3 FM, in Branson, Missouri; KHBZ - 102.9 FM, in Harrison, Arkansas. and KOZL TV - 27, in Springfield, Missouri. Be a part of the studio audience! The show can also be downloaded as a podcast, via the internet at www.iTunes.com. When the red "ON AIR" light comes on, it's sure to be a GRAND time! 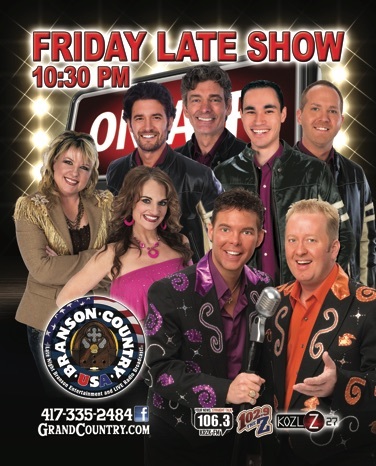 Branson Country USA is performed every Friday night at 10:30 p.m., January - December. For tickets and information, call Grand Country Music Hall. 417-335-2484.